Our Mighty Tigers class is for ages 4-7 and is designed to help younger students learn the same principles as our other classes, but at a pace that is more rewarding for this age group. 1. Help children become comfortable learning with other children their age. 2. Teach them how to listen to an instructor. 3. Show them the importance of respect. 4. Help them understand the rewards of hard work. 5. Encourage them to not give up, and achieve their goals. The great part about this class is that once they have graduated from it they have already learned what they need to know to participate in the other classes that are available for children over the age of 7. 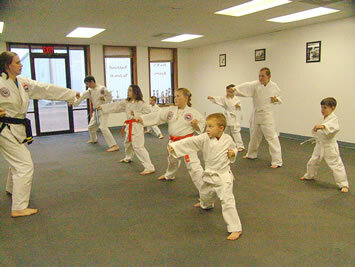 The benefits children derive from Tae Kwon Do practice are many and can last a lifetime. The physical benefits are obvious. Self-defense helps keep them safe. Stretching exercises and forms promote flexibility and coordination. Kicks, punches,and blocks build muscles and increase cardiovascular strength. 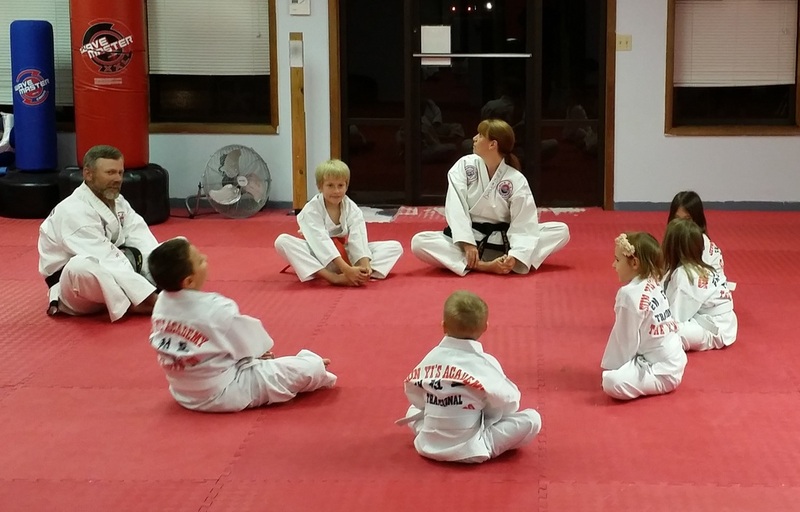 children who practice Tae Kwon Do will find their improved physical abilities help them excel in other activities such as sports, gymnastics, and dance. But the physical benefits are only part of the practice. Other equally important benefits include improved concentration, respect for others,discipline, perseverance, self-control, and self-confidence. Starting out, you will attend Introduction Classes and Beginners Classes. The Beginners Classes are designed for White Belts through high Orange Belt. There is an emphasis on the basics of stances, punching, kicking and blocking. 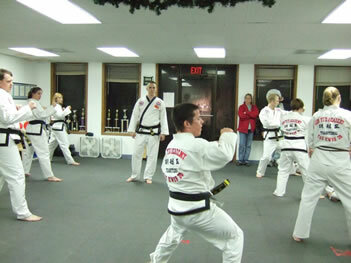 There is also training on the proper edicates of Tae Kwon Do and how Regular Classes flow. Beginners are also welcome to attend regular classes as well. The Regular Class starts out with about 35 minutes of basic and advanced techniques. All ranks are required to perform basic techniques and advanced techniques are performed by orange belt and higher. Then, starting with the lowest rank, forms are performed. Forms or Hyungs are performed and the instructor will help you develop the techniques so you can perform at your best. Once all forms are done, we will continue to one-steps. One-steps are a series skills designed for your particular belt level. The very last part of the class consist of Free Sparring. We Free Spar without any pads and no contact is allowed. The idea is to stay in control and develop your self-defense skills. Regular Class starts out with about 35 minutes of basic and advanced techniques. All ranks are required to perform basic techniques and advanced techniques are performed by orange belt and higher. Then, starting with the lowest rank, forms are performed. Forms or Hyungs are performed and the instructor will help you develop the techniques so you can perform at your best. Once all forms are done, we will continue to one-steps. One-steps are a series skills designed for your particular belt level. The very last part of the class consist of Free Sparring. We Free Spar without any pads and no contact is allowed. The idea is to stay in control and develop your self-defense skills.